As a responsible company it is essential to maintain the highest standards of health and safety and one of the ways we demonstrate this is through the accreditations we hold. One of these is OHSAS 18001, which sets out the minimum requirements for occupational health and safety management best practice, and Safecontractor, a health and safety audit service for contractors who want to reassure their clients that health and safety is being handled correctly and sufficiently on their sites. Holding these accreditations demonstrates our commitment to the health and safety of our employees, our operations and our customers. Through UKAS we are an Accredited Asbestos Inspection Body to ISO/IEC17020: Surveying for asbestos in premises; management, refurbishment and demolition and an Accredited Asbestos Testing Body to ISO/IEC17025: Testing performed at permanent laboratory premises (bulk analysis) and away from the permanent laboratory (air testing and four stage clearance). 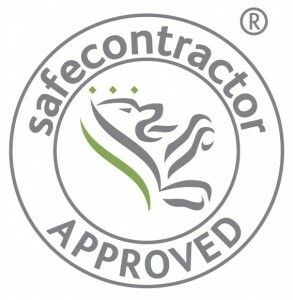 The Safecontractor accreditation scheme is used by many large organisations as way of identifying a suitable and competent contractor. With more than 210 major clients and over 20,000 contractor members, it is one of the fastest growing health and safety assessment schemes in the UK.